Transition to Success in College, Your Career, and Life. Moving from active duty to civilian life isn't always easy. That's why Bellevue University is pleased to offer you an unprecedented suite of Veteran Support Services. 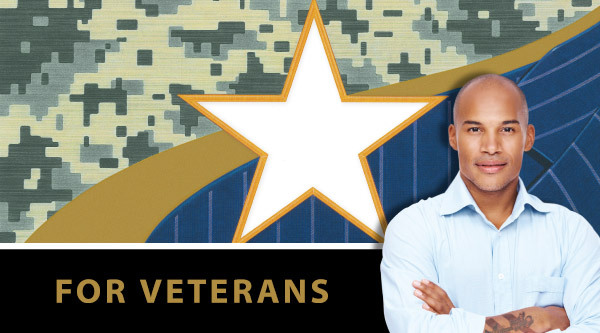 Designed exclusively for Veterans, these services give you a leg up in your transition - and importantly, the education you need to move forward in your career. Check out Degree Accelerator. FREE to all Veterans, this interactive service helps you get on the fast track to completing the college degree that best matches your interests and skills. Veteran Support Services help you take advantage of learning you've gained, credits you've earned, and GI Bill education benefits you're entitled to. You'll work with Veterans who know your situation - where you've been and what you are capable of doing in the civilian sector.